Athletics are integral to the college experience – and at Wake Forest, there are plenty of occasions to wave the black and gold. Competing in the NCAA Division I Atlantic Coast Conference, Wake Forest teams are consistently among the leaders both athletically and academically. In recent years, the Demon Deacons have won national championships in field hockey (three times) and men’s soccer, achieved a No. 1 ranking in men’s basketball and played in three football bowl games, including the Orange Bowl. Get the latest information and follow the Demon Deacons on their official website, GoDeacs.com. Interested in playing sports for Wake Forest? 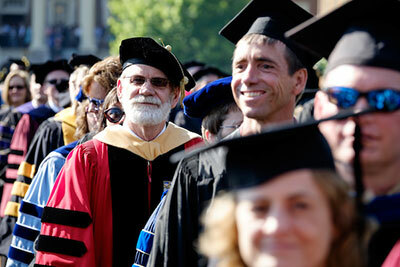 Our student-athletes play their hardest in and outside the classroom. 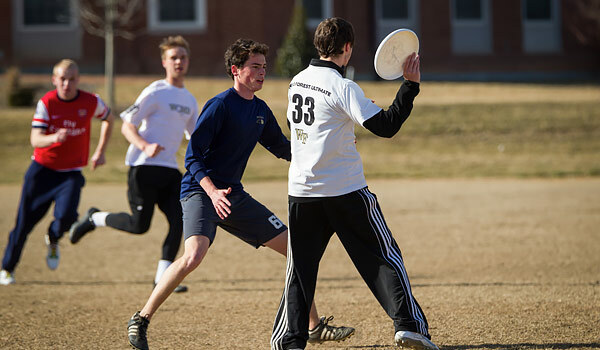 The Office of Campus Recreation coordinates a Club Sports Program that competes with other colleges and universities. 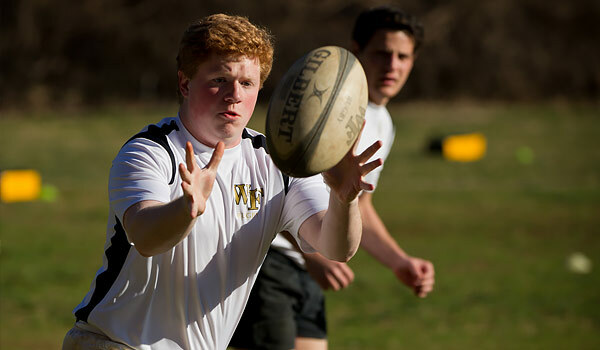 Intramural sports are a popular outlet for about 85% of Wake Forest students and are a great way to stay healthy and active. 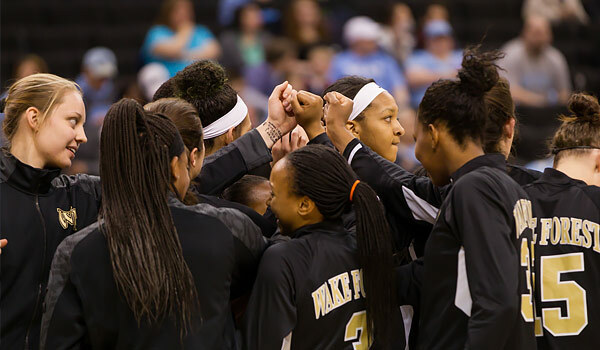 Show your support for the Demon Deacons by purchasing tickets to Wake Forest sporting events. Go Deacs! 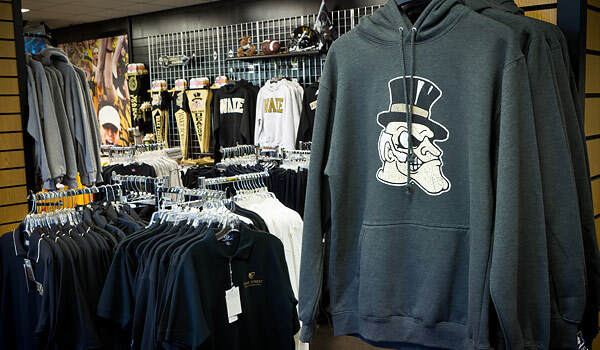 Find all the Demon Deacons gear you’re looking for, online or on-campus, whether it’s apparel or gifts and novelties. Learn how you can support our student athletes and help them succeed in and outside of the classroom. Probably no aspect of Wake Forest athletics holds more fascination or lore than the nickname of the school’s teams: the Demon Deacons. 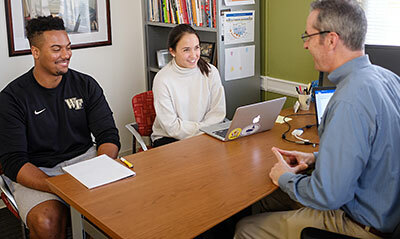 Wake Forest news director Henry Belk picked up Parker’s new name for the Deacons and began using it in the school’s news releases. 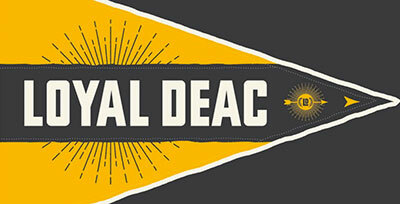 Soon the name Demon Deacon had become a familiar term with all sports fans. 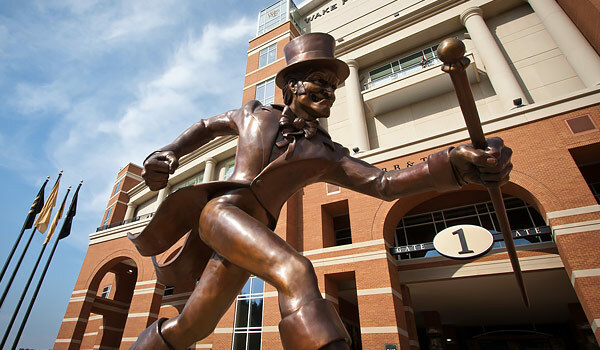 Still, until Jack Baldwin took up a fraternity brother’s challenge in 1941, Wake Forest had a nickname but no figure to personify the spirit of the Demon Deacon. Baldwin led the Deacons on the field against North Carolina, dressed in top hat, tails and umbrella, riding the Carolina ram. While his fraternity brothers roared with laughter at the sight of him, no one realized that the Deacons would never play again without their Demon Deacon. The joke became an institution. 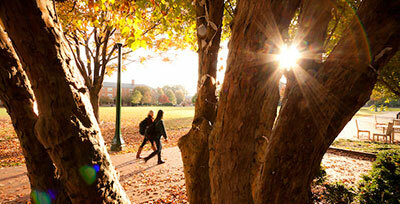 Enthusiasm for athletic victories at Wake Forest University can be measured by the toilet paper in the trees. Wake Forest students, alumni and other fans celebrate game wins by “rolling the quad,” covering the center of campus with streamers of white tissue. 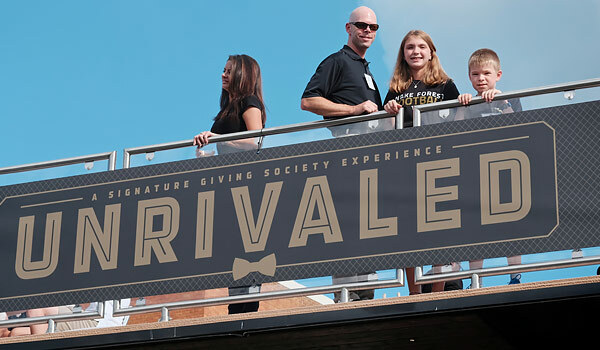 The tradition, while popular with Wake Forest fans of all ages, began mostly because of the 172-year-old university’s 1956 move from the town of Wake Forest, N.C., to Winston-Salem. More information about rolling the quad can be found on our Traditions website.